Authentic & Easy Pasta Bolognese Sauce Recipe sure looks like it would warm you up in a super yummy way! Yes, please! Amy from My Recipe Treasures shared her recipe for Instant Pot Ham and Bean Soup. This looks so yummy and warming. I must say I don't have an instant pot, but I'm pretty sure I could manage her recipe anyway. Can't wait to try! Jamie from So Much Better With Age Valentine’s Day High Tea Party sounded just perfect for cold, wintery days at home. 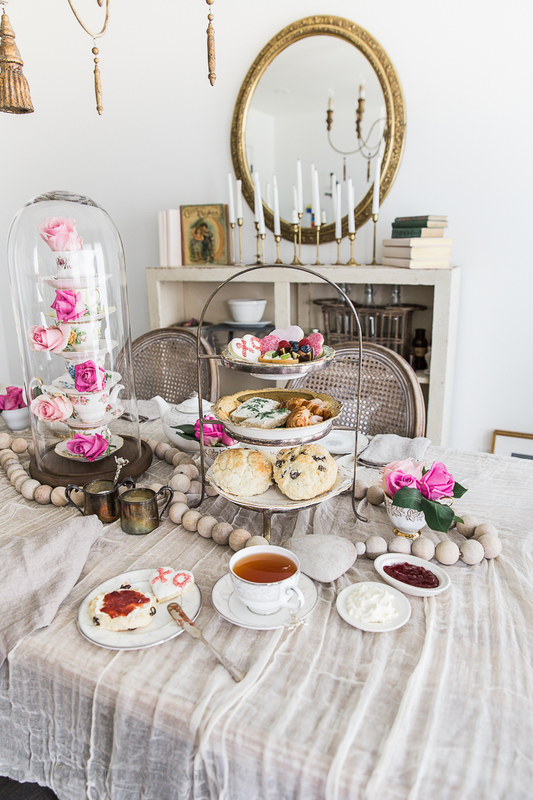 Who wouldn't love some tea and scones at this beautiful table? Thanks for hosting, Theresa. It's been cold here in Charleston, but that's such a relative word considering the arctic weather that some are experiencing. Hope you have a lovely weekend. I linked up at #58 & 60. I Know what you mean, Beverly, I kinda feel guilty saying I'm cold, by comparison! Happy Weekend, dear lady! Hi Theresa, I'm numbers 64-66 today. Have a good weekend! Hi Liberty, Thanks! Happy weekend to you too! 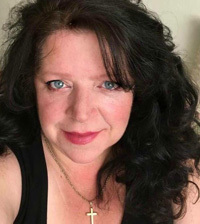 Hi Michele! Looking forward to seeing what you've shared. Have a wonderful weekend. Thanks for hosting Theresa. Yesterday my newly retired hubby and I went out bowling while Pittsburgh dealt with minus 5 low temp. I scored 4 strikes; 3 of them in a row to my shock and amazement! Today I've shared posts #128, #129 and #130; all with love and friendship themes including a bridal shower, tea with friends, and how to easily decorate the home and table with red heart ornaments and mini wreaths. Good for you, Debbee! 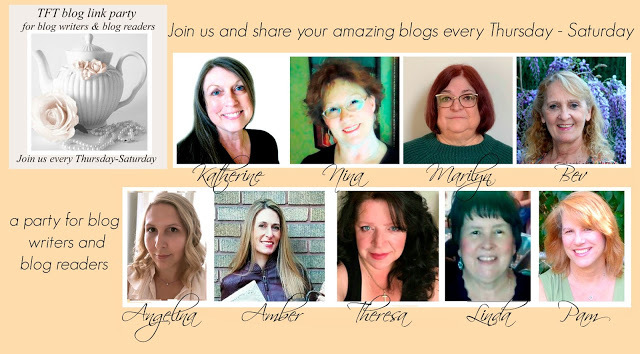 Thanks for linking up and sharing with us! I'm a new follower! Thanks for hosting! I linked up at 137-139. Have a great week! Great! Thanks for joining me! Thank you! Glad to have you joining us! 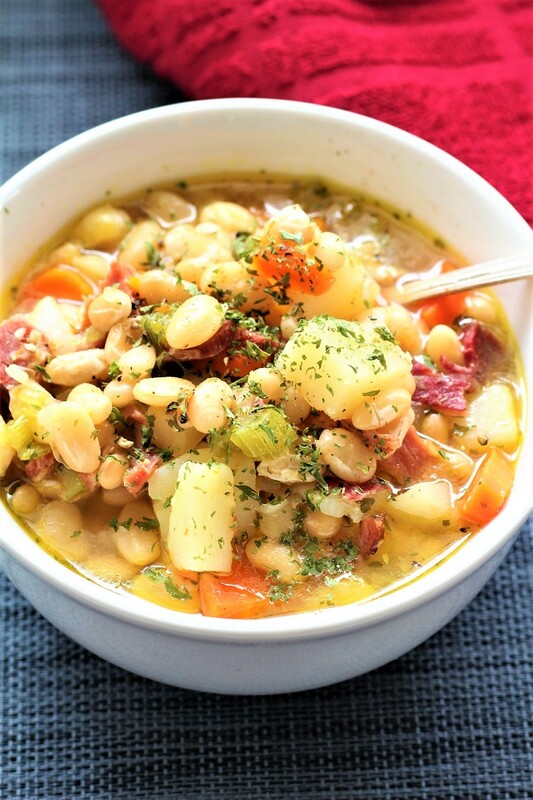 Thank you for featuring our Instant Pot Ham and Bean Soup. You are right - you don't need an instant pot to make this. It is delicious any way you make it. Thank you for hosting the party. Our links this week are: #256, #257 &#258. Enjoy your weekend.